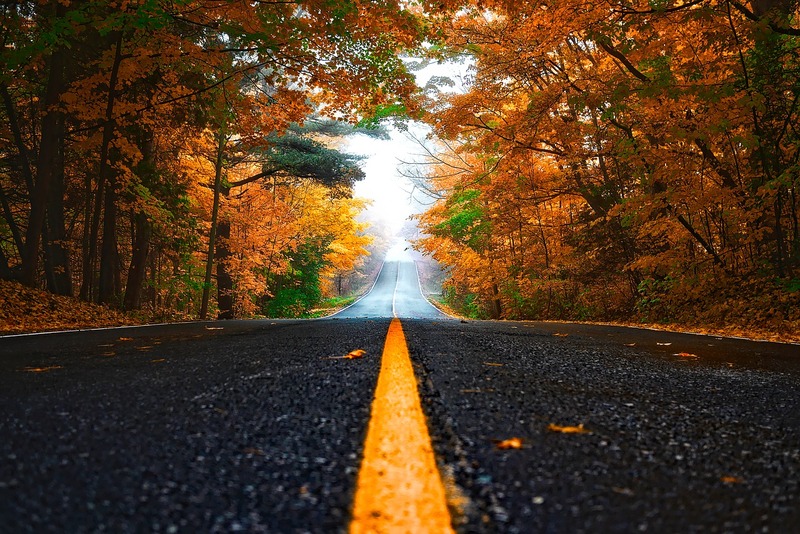 As some of you may know, September is Recovery Month. Recovery Month promotes the societal benefits of prevention, treatment, and recovery for mental and substance use disorders, celebrate people in recovery, acknowledges the contributions of treatment and service providers, and promotes the message that recovery is possible. Recovery Month spreads the positive message that behavioral health is essential to overall health, that prevention works, treatment is effective and people can and do recover. For us at Isaiah House, this is what we get the blessing of doing each day; to celebrate people in recovery and to provide tangible proof through transformed lives that treatment is effective. However, when there is a special time set aside on the calendar that highlights recovery, I find my heart overflowing with renewed gratitude for all of our supporters that make treatment possible. Each person who prays and financially supports our ministry plays a vital role in saving lives. To each of you I extend a heartfelt thanks! 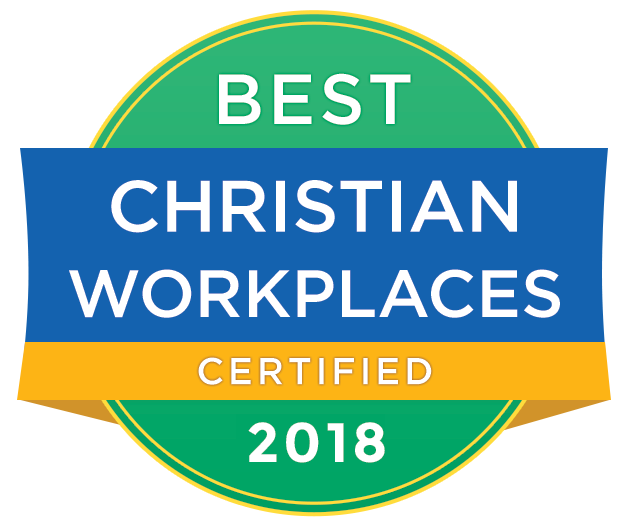 I am very excited to announce that we are now a certified best workplace as determined by the Best Christian Workplace Institute. For the past two years we have used BCWI to survey our employees to determine the culture of our workplace. Our employees’ anonymous responses to the following eight factors were analyzed and scored: Fantastic Teams, Life-Giving Work, Outstanding Talent, Uplifting Growth, Rewarding Compensation, Inspirational Leadership, Sustainable Strategy, and Healthy Communication. We look forward to continually growing together as a family and becoming more like Christ in all that we endeavor. I also want to extend an invitation to pastors and church leaders to come to our first ever Pastor’s Symposium, October 18th from 10 a.m. to 2 p.m. at our new facility in Chaplin, Ky. This will be a great opportunity for learning about ministering to families and other ministry opportunities. There will also be a question and answer time hosted by a panel composed of professionals, pastors and those who know the pain of losing a loved one to addiction. People in recovery need to find home churches that will continue to love, encourage and disciple them. If you would like to be included on the list of recommended churches we share with clients looking for a home church, then this will be a great opportunity. Please plan to join us for this very special day and tour our new facility. Lunch will be provided and the event is free. Please R.S.V.P. to assist us in planning. Lastly, I invite everyone to join us for the Grand Opening of our two new centers. The opening of the Jake Kuertz and Greg Bowen Centers provide 32 additional beds for treatment! This grand celebration will take place on location at 100 Broadway St, Chaplin, KY on Monday, October 29th from 11 a.m. to Noon. We will have some very special guests that will be joining us for this ribbon cutting ceremony! I look forward to seeing many of you in the coming weeks. Be blessed and know there is real hope for those in addiction. 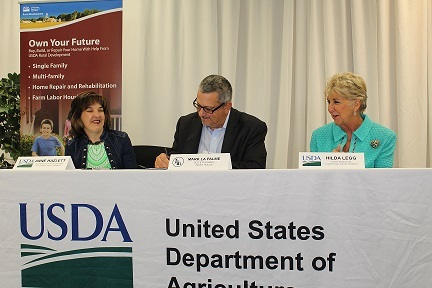 Isaiah House Treatment Center is the first in the nation to be chosen for a new USDA Rural Development initiative that will provide transitional housing for recovering addicts and their families. 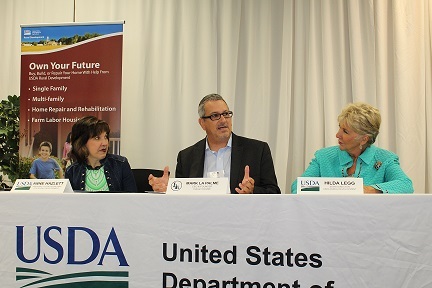 The pilot program was announced Aug. 31st at the 2018 SOAR Summit in Pikeville by USDA Assistant to the Secretary for Rural Development Anne Hazlett and Kentucky State Director Hilda Legg. The partnership with Isaiah House enables USDA to sell vacant, foreclosed homes at a discount to provide housing, treatment, job training and other key services for people in drug treatment and recovery. 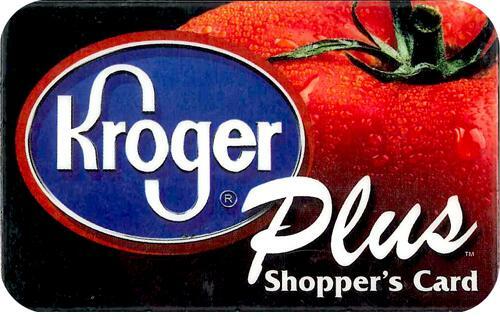 Under the agreement, Isaiah House is purchasing two USDA-owned homes in Kentucky’s Hart and Rockcastle counties. Clients will renovate the homes through Isaiah House’s job training and employment program, which is part of its wrap around treatment model that strives to address every area of a recovering addict’s life that may impact their ability to stay sober. “Over the years, we have found that clients who can function in the workplace are far more likely to maintain sobriety over time,” said Mike Cox, Isaiah House president. “Financial stress and inability to meet personal and family needs is a leading cause of addicts returning to old behavior. The employment program provides our clients with the opportunity to acquire new job skills and gain work experience.” When the renovations are complete, the homes will be converted to transitional housing for Kentucky residents in addiction recovery and their immediate families. Founded in 1999, Isaiah House is one of Kentucky’s largest nonprofit addiction treatment centers. In 2017, residential and outpatient treatment were provided for 378 Kentucky residents from 76 different counties. 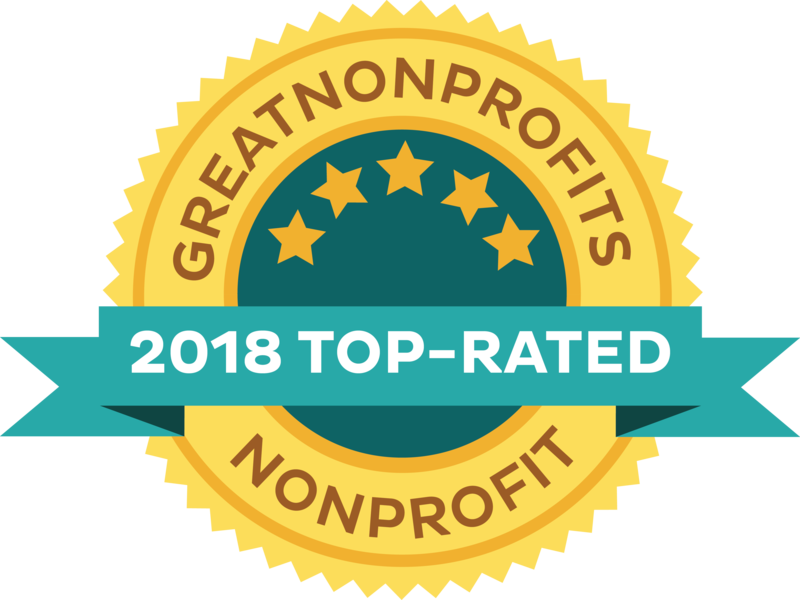 Isaiah House is dual-licensed by the State of Kentucky and nationally accredited by Commission on Accreditation of Rehabilitation Facilities (CARF). Chaplin, KY – Isaiah House Treatment Center is expanding its job training and employment program, “From Crisis to Opportunity” thanks to a $150,000 grant and a low-interest loan from the U.S. Department of Agriculture. The program is part of the USDA’s Community Facilities Initiative to combat the opioid addiction crisis. Grants support innovative solutions that best address substance abuse in rural communities. According to the Kentucky Office of Drug Control Policy, 1,565 Kentuckians died from drug overdoses in 2017, a 40 percent increase in the past five years. Grant funds will be used to purchase a metal fabrication business, Howard’s Metals, located adjacent to Isaiah House’s new treatment centers in Chaplin in Nelson County. The business will be used to learn job skills, gain work experience and prepare recovering addicts for living successfully in the community. As part of its wrap-around treatment model, Isaiah House places a strong emphasis on education, job training, employment and financial independence for its clients. 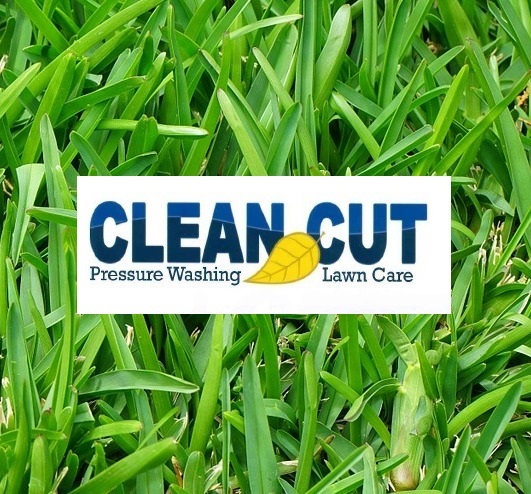 In addition to Howard’s Metals, Isaiah House also operates an onsite vocational center, GED classes, college classes and other business enterprises to give clients job experience including Isaiah 58 Builders and Clean Cut Landscaping. Clients also earn wages to pay child support, legal fees, court restitution, and other treatment and personal expenses including establishing savings accounts. I can live again! I can laugh again! I was on the verge of death, but today I can live again! I can laugh again! I have the love of my family back, as well as their support. Today I have plans for my future. I am 1 of many but today I am 8 months sober and never looking back. If you or someone you know or love is battling an addiction to drugs or alcohol, reach out!! Recovery is available to anyone willing to work for it. Proverbs 3:5 says “Trust in the Lord with all your ❤ ” God loves all his children he left the 99 to save me. He will save you as well. Congratulations to Denzil Hall our September “Five Star Employee of the Month”! Denzil is our Kitchen Supervisor. He trains all kitchen staff, plans out weekly menus to be approved by our Nutritionist, inventories food, does weekly orders from a food service and also grocery shops at Sam’s Club for the remainder of the items. 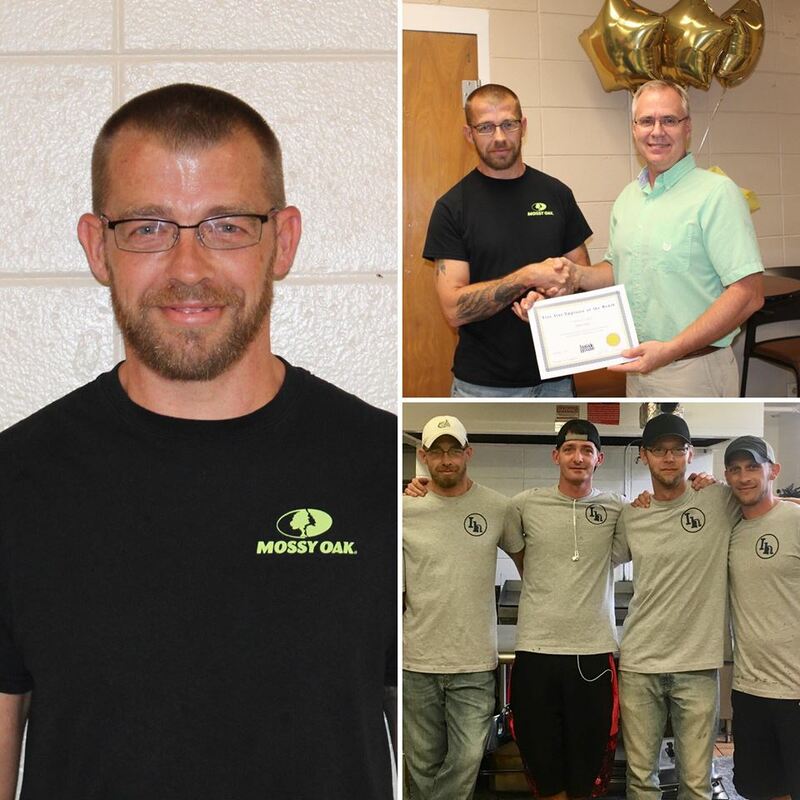 He teaches the guys to cook, but he also mentors them and lends an ear to hear when they need someone to talk to. He says, “We become like brothers in the kitchen.” The kitchen staff also transports food to our Chaplin campus and to Patricia’s Place on our Willisburg campus and prepare separate meals for clients who are diabetics and vegetarian. Denzil supervises a kitchen staff of 3 other men: Ronnie Couch, Adam French and Kevin Riley. 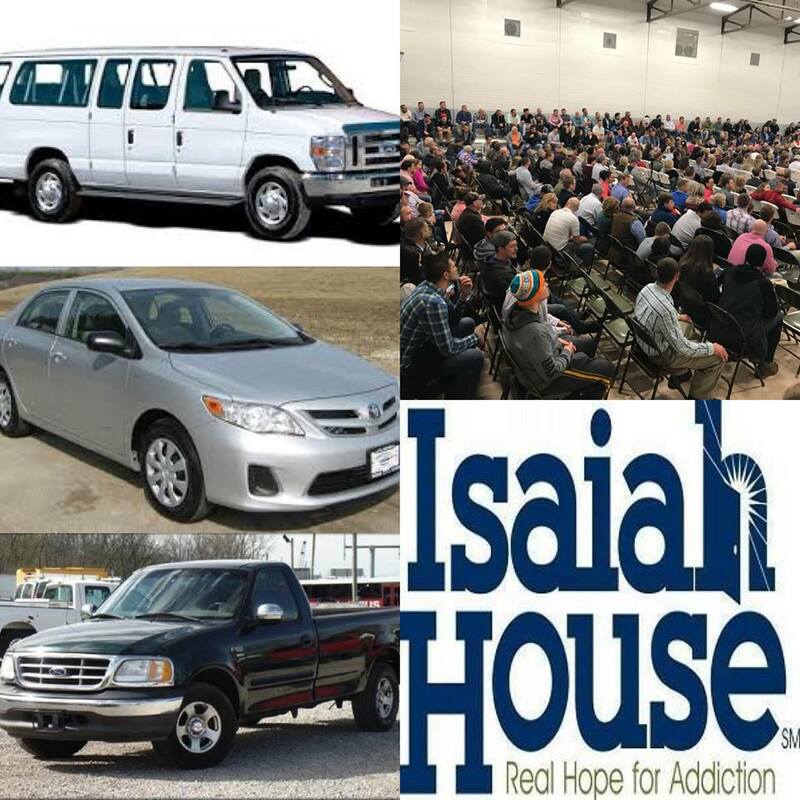 What do you like about working for Isaiah House? We are glad to have Denzil as a part of our Isaiah House family. 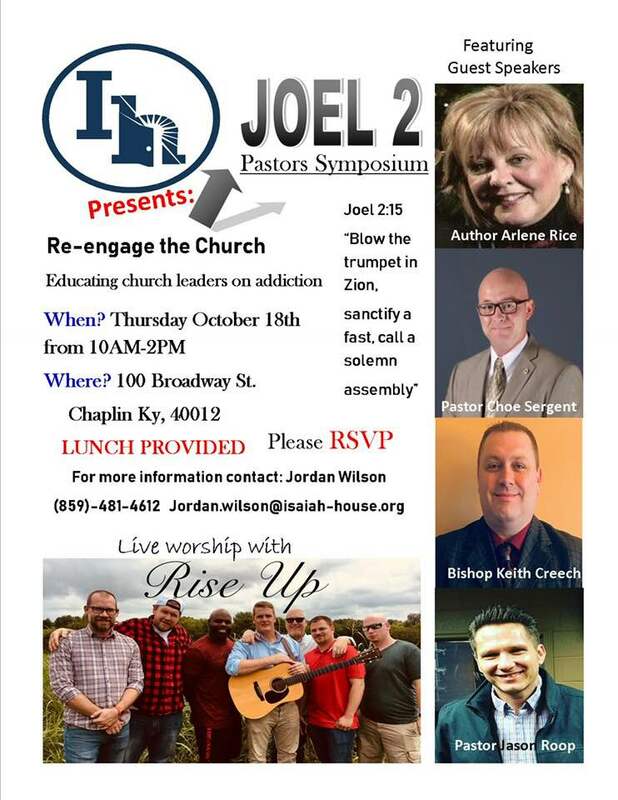 Joel 2 Pastor’s Symposium– October 18, 10:00 am- 2:00 pm at Chaplin Center. Grand Opening of Jake Kuertz & Greg Bowen Center- October 29, 11:00 am, Chaplin Center.